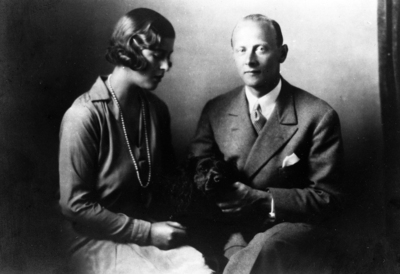 "Tiny" was the nickname of Princess Sophia of Greece and Denmark, sister of the Duke of Edinburgh. 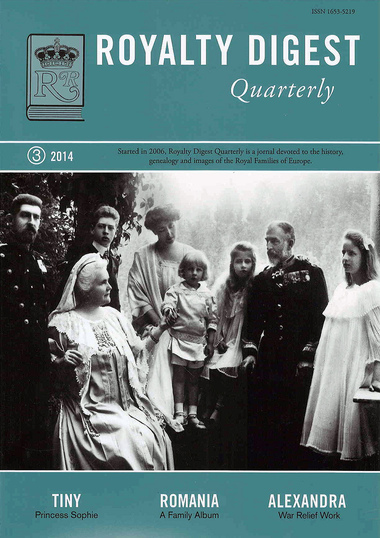 Her life is described in a short article by well-known royal biographer Hugo Vickers in this issue of RDQ. ROMANIA is the family album, as usual presented by Charlotte Zeepvat, who also concludes her mini-biography of Princess Marie of Greece and Denmark, Grand Duchess of Russia. The third part of Griffith Henniger on the Empress Alexandra's War Relief Work is also in this issue, as well as an obituary, written by Bearn Bilker, of Prince Michael of Prussia. 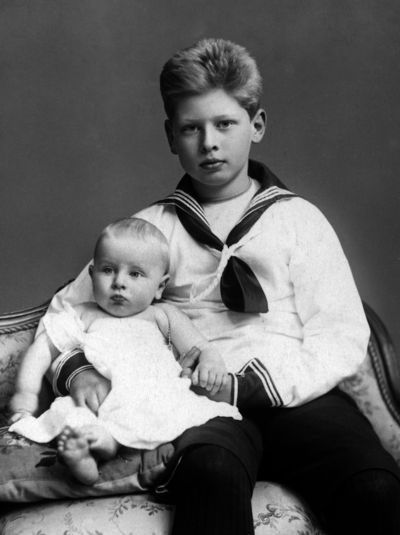 with his younger brother Prince Nicholas. 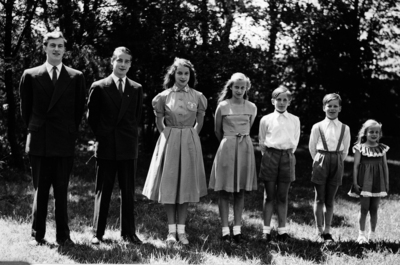 Prince Michael of Prussia, second from left, with his sisters and brothers; Friedrich Wilhelm, Marie-Cecile, Kira, Louis Ferdinand Jr, Christian Sigismund and Xenia.